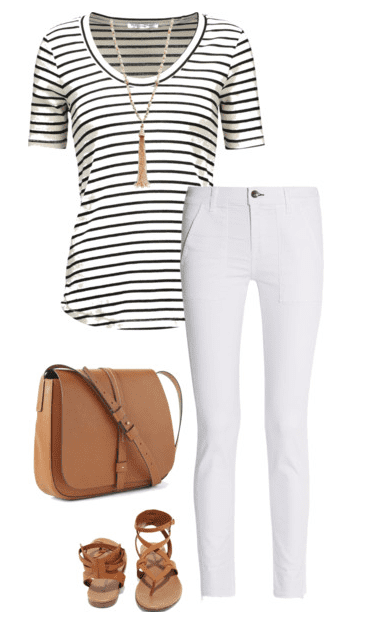 One black and white striped shirt + eight striped shirt outfit ideas. This classic piece of clothing can help you create an endless amount of outfits you feel good in this summer. If you scroll through Pinterest, Instagram or the pages of your favorite magazine, most likely you’ll see a striped shirt touted as a must-have item for your wardrobe. And there’s a reason why! It’s a wardrobe staple that looks great with so many other pieces in your closet. A long sleeve striped tee will easily take you through fall and winter and a short sleeve striped tee through the spring and summer. It’s a fun item of clothing to play around with and create as many outfit ideas as possible. How can you wear a black and white striped shirt for summer? Here are eight ways. 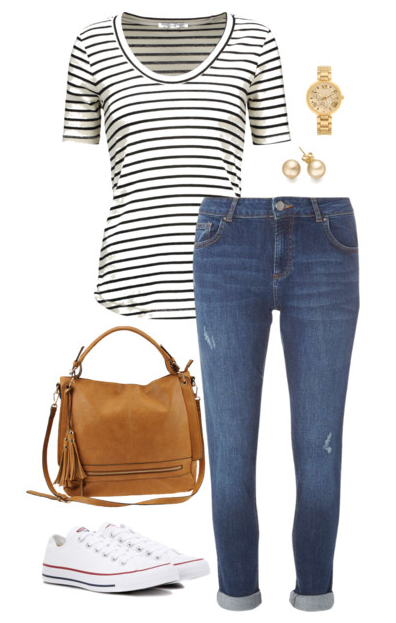 A striped shirt looks so stylish with all jean types and colors. It’s easy to switch up your shoe and accessory choices to completely change the look of the same shirt and jeans. 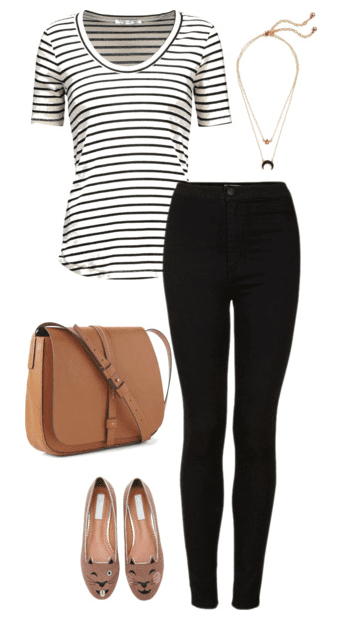 Here are three outfit ideas with white, black and blue denim. A kimono is a perfect compliment to the striped tee when you want to change up your look. Mixing stripes and florals show you got it going on in the fashion department. 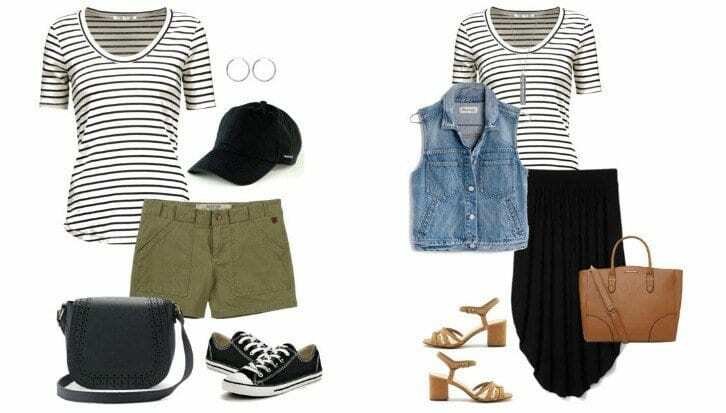 Break out the black and white striped shirt, shorts, baseball cap, and vest for some super cute summer outfit ideas. 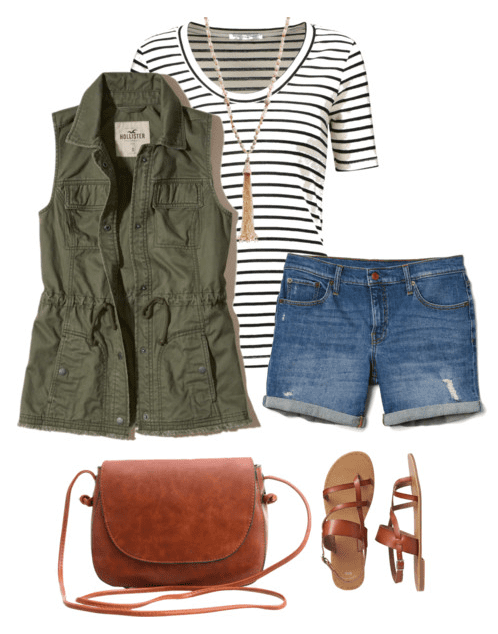 A striped top looks amazing with the color olive as you’ll see in the two outfits below. 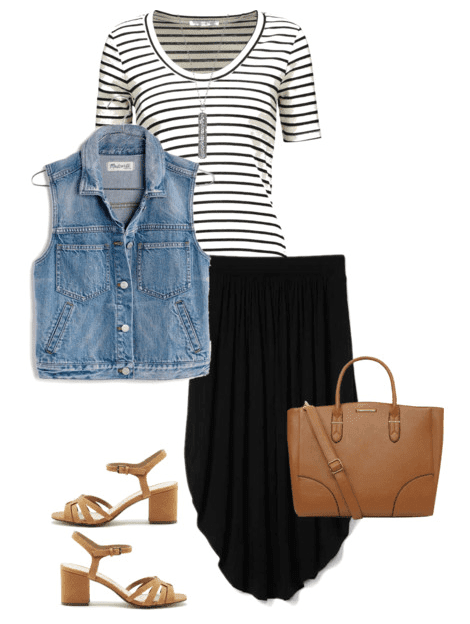 If you want to dress things up a bit this summer, pair that favorite striped top of yours with a skirt. 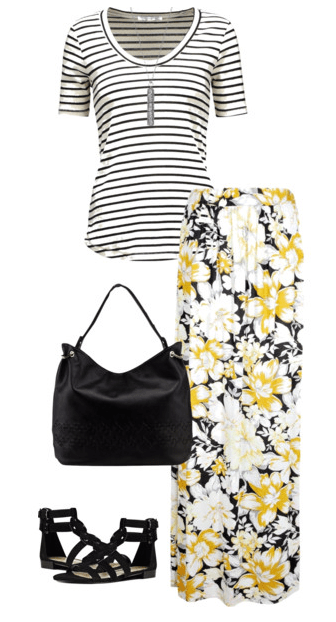 Whether it’s floral or a solid color, it makes for one very stylish outfit. 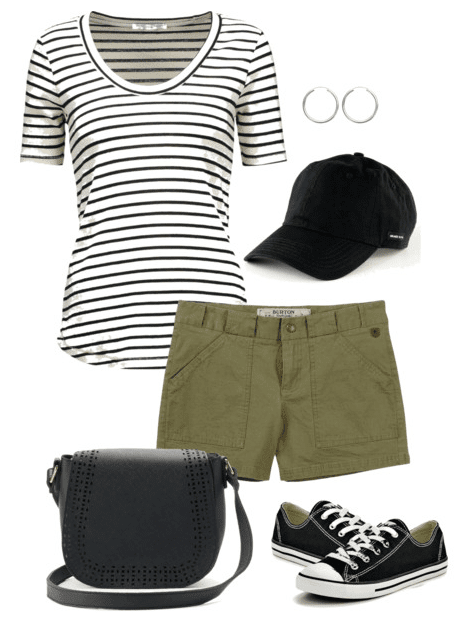 Do you love these striped shirt outfits for summer? I hope so! For more outfit inspiration, check out the Fashion category here.